Hello guys, it's been a while. These days I'm on my school vacation and now I'm allowed to spend time according to my wish. I have almost a month till school start again so I hope to spend that time very very EFFECTIVELY. During the past few days, I did so many things. On the very first Saturday, 1st December, I learned Spanish, Korean alphabet (aka Hangul), re-arranged my table and enjoyed my time. So I can call it a day. I don't really remember what I did on Sunday morning but I got ready for Karate class as usual. We did some endurance exercises and some punching and kicks. Then at the end of the class, our sensei's friend who's a senpai to us and who's also a member of Sri Lankan national Karate team came to our class and our sensei asked him to move with Brown belt. (no attacking but the moving part) I and sis think that brown belt guy was too afraid at the beginning. After that the class ended and that's when our sensei told us something which really boosted our spirit. Our sensei told us that our grading for the Yellow belt will be on January and we'll be having a beach training on December! Me and sis were counting our fingers till that day came. That really is gonna be super fun. After Karate practice, we stayed for Zumba. Our Zumba workout party is on 15th and it also is gonna be a fun time. But the unfortunate thing is that sis won't be attending that because she'll be flying to Thailand on 14th. I feel pity for her but btw she's gonna have lot more fun going to Thailand. I'm so ashamed to say that I spent most of the Monday on bed. That afternoon, our Zumba instructor was opening a new class and he asked some of us to be there and perform to a few songs. The only problem when performing was that the floor was too slippery and I was having goosebumps thinking if I fall. So I didn't forget not to be so hard and speed on the moves. Tuesday was a movie day for me and sis. 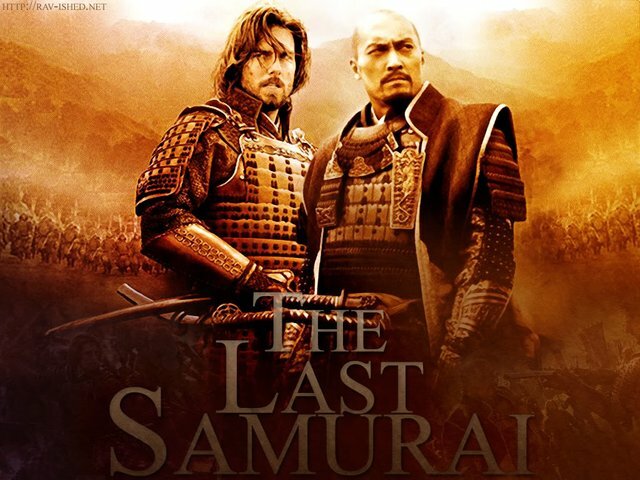 We watched 'The Last Samurai'. Though it's a pretty old one; it's released on the same year and month but 12 days after I was born. The film was a great one. We didn't catch the story the first time due to some kinda problem with the laptop speakers so we read the story on Wikipedia. I can count today as a book day cuz since I woke up, I was reading Wimpy Kid the whole time on funbrain.com. I haven't still finished the story. I think that it's a combination of the whole series so I think that it'll take another day or two to finish the whole thing. That's how the things went the last few days. I still have some more good news for ya. Do you remember that I am a candidate for the Bronze award of the Duke of Edinburgh? Me and my best friend got that chance for our fortune. You can read that story here. So after finishing all the Skill, Service and Physical sections, we have to go on an adventurous journey in order to get the award. So the good news is, we are going on that journey on 16 and 17. Yeah, it's a two day one night journey to Pidurangala which is near Sigiriya. So I've got some interesting stuff waiting for me. On 15th there is the Zumba Fiesta, on 16th and 17th I'm going on an adventurous journey and later, we'll be having a beach training. I can't wait till next week. I'm so excited! You just got a 0.54% upvote from SteemPlus!